Drum roll please! 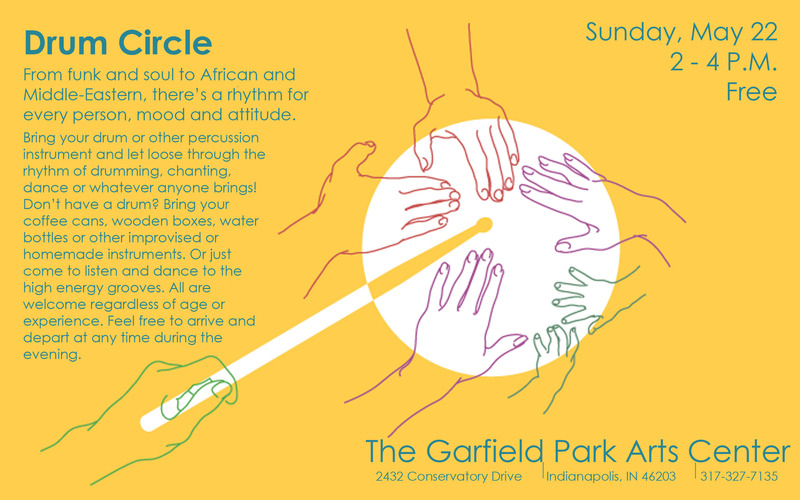 Bring your percussion instrument and let loose through the rhythm of drumming, chanting, and dance! Don’t have a drum? Bring your coffee cans or other improvised instruments. Arrive and depart at any time during the event. 2-4pm Sunday, May 22 at the GPAC! 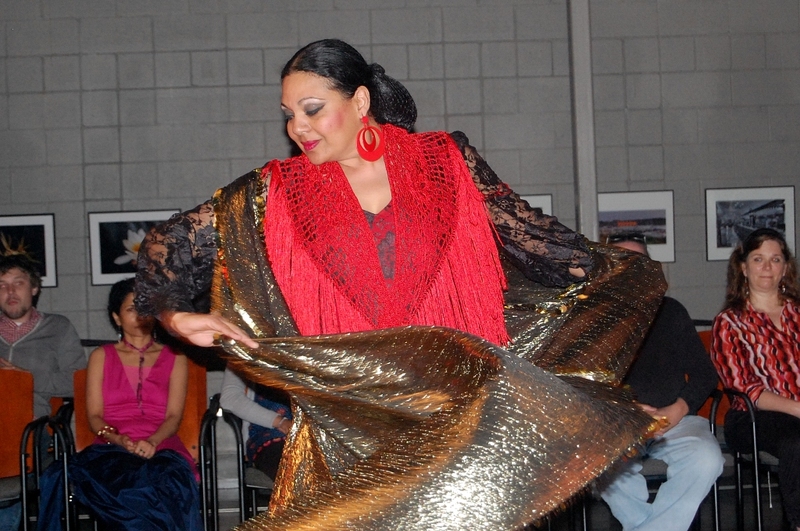 The GPAC invites you to celebrate the holidays with a Middle-Eastern flair! This coming Sunday, Dec. 12th, we will be hosting “Faten & il Troubadore in Concert.” This incredible event will feature the eclectic sounds of il Troubadore, Indianapolis’ own 16th Century rock band, and the celebrated dancers from Ms. Faten Ali-Munger’s dance troupe as well as Master Dancers from the surrounding area. Advanced dancers will have the opportunity to take a Master Class from 11 a.m. – 4 p.m. Call Ms. Faten Ali-Munger to register at 250-2029. “Formed in May 2004, Il Troubadore was conceived first as a variety band designed for private parties and small venues. The name was chosen to reflect the early material – which included several Italian Bel Canto, operatic arias, and Irish and Scottish folk tunes. Robert Bruce Scott, a classically trained vocalist plays mandolin, Celtic harp and classical guitar. Jon Silpayamanant exercises his classical-training on the cello and also contributes to the singing. In 2007, Paul Radecki added his dumbek talents to the ensemble. Wendi Wampler (aka Amirah) is il Troubadore’s resident bellydance as well as adding her clarinet skills to the mix. The band quickly adapted to playing in larger clubs, adding rock, country, disco, jazz and folk covers from a broad variety of cultures as well as strong original material that blends heavy metal, classical and world music influences. 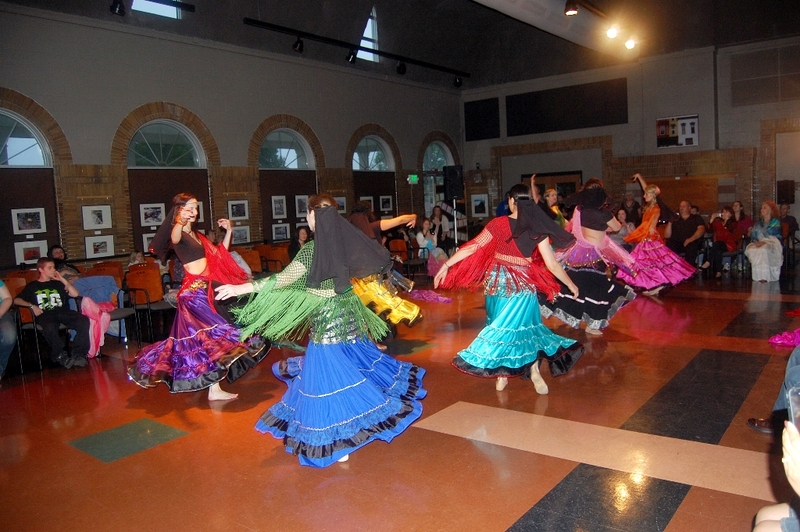 Their Middle Eastern flair attracted attention from Midwest’s rapidly growing belly dance community. Now, local and regional dancers and musicians accompany il Troubadore at many of their appearances.